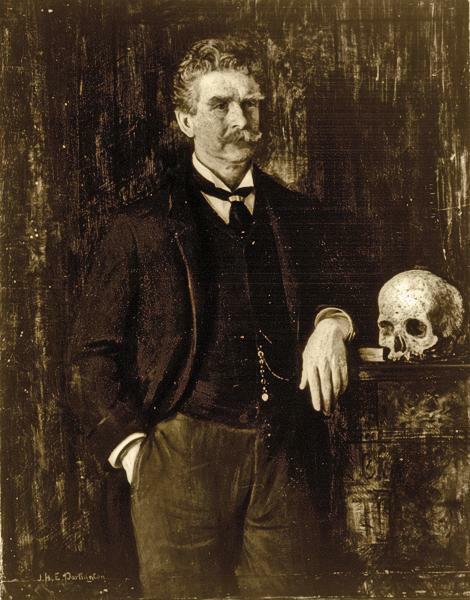 Ambrose Bierce The legendary author’s fateful final days remain a mystery. Ambrose Bierce’s was a life of remarkable contrasts. He was born in 1842 to the poverty of a Midwestern log cabin and a family of 13 children; he survived three enlistments amid the carnage of America’s Civil War battlefields; he lived and wrote in London, San Francisco and Washington D.C.; and finally, he disappeared into Mexico. His life was dedicated to the published word. 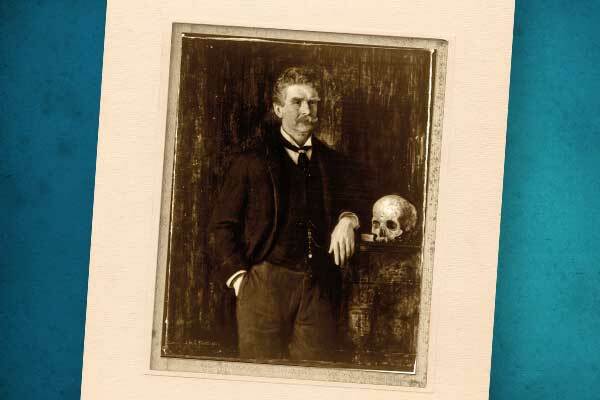 Compared in humor and acerbic wit to Mark Twain, and in dark horror with Edgar Allan Poe, Bierce’s prolific writings would reportedly fill 72 volumes of materials. Bierce’s most anthologized short story, “An Occurrence at Owl Creek Bridge,” tells of a Confederate spy condemned to hang from the bridge he was intending to destroy. The story has been retold to audiences for over a century in silent film, movie, television, a comic book and in a Johnny Depp music video. At the age of 71, in 1913, Bierce left El Paso, Texas, on horseback for Juarez, Chihuahua, Mexico, reportedly carrying $2,000 in gold. He vanished into the mists of time. His fate—and gravesite—were investigated and speculated on for years. Both remain unknown. Tom Augherton is an Arizona-based freelance writer. 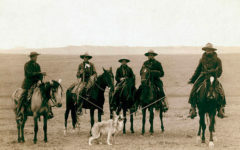 Do you know about an unsung character of the Old West whose story we should share here? 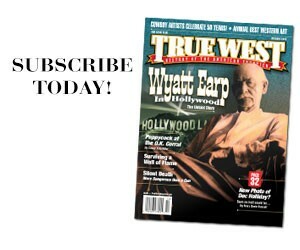 Send the details to editor@twmag.com, and be sure to include high-resolution historical photos. Ambrose Bierce moved west after the Civil War to San Francisco, a city he would call home for much of his life, including the years 1887 to 1896, when he worked as an influential Hearst newspaper columnist. 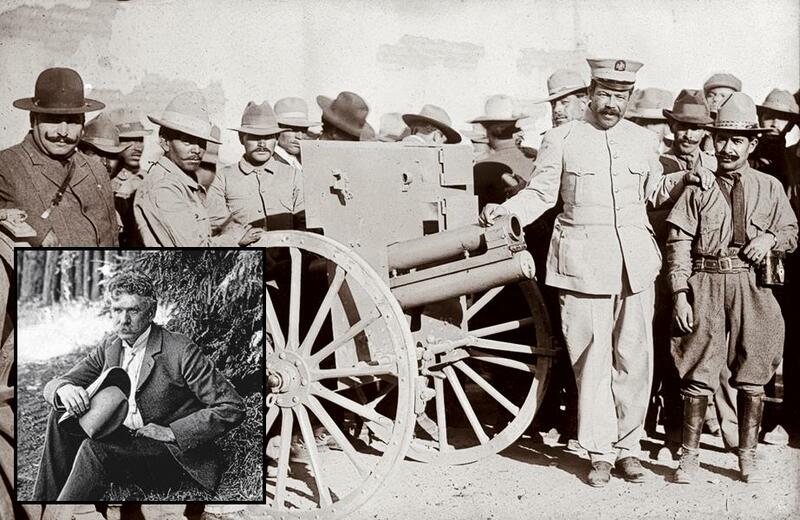 Legend has it that writer Ambrose Bierce (inset) was on a mission to meet Pancho Villa (second from right) to report on the Mexican Revolution in Ojinaga when he crossed into Mexico in 1913 at the age of 71. The Last Stage Robbery? 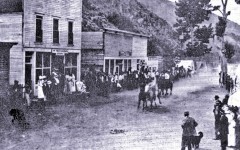 Marking the 100th anniversary of an almost-forgotten holdup. Halloween and the Call of the Wild There's an old folk story told in the mountains of Montana about a band of gray wolves that hunted relentlessly and remorselessly for human babies.